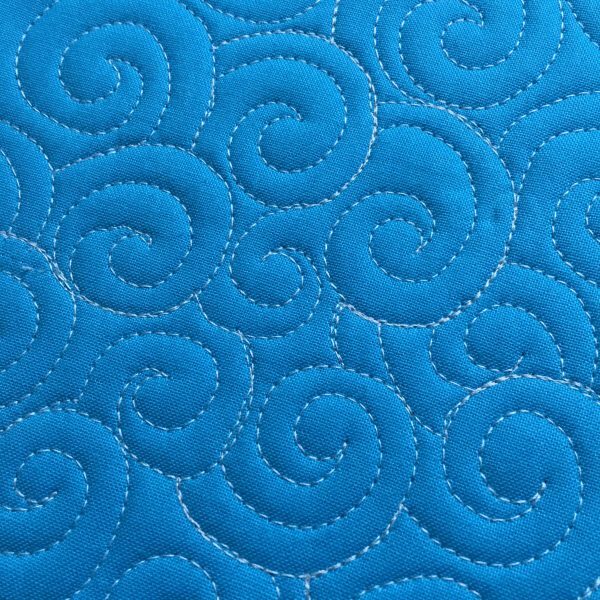 BERNINA invited me to guest post over here to give some free-motion quilting tips (thanks, BERNINA)—I thought we’d talk about swirls because they give such great texture and movement to a quilt, yet people frequently struggle to find a style that suits them. But once you learn the basic rhythm, there are so many variations that you’ll be sure to find one that you enjoy. So let’s get started! The advantage of using nested swirls (other than the fact that they look great!) is that, since their edges touch, you can easily combine them with other motifs, like pebbles or paisleys. When stitching swirls (or any motifs, for that matter) think about where you need to stop or start when repositioning hands (or feet in the base of long arms). You want to stop where there is a natural corner to the design, so that when you start again little differences in direction are not noticeable. In the case of swirls stop when you get right into a swirl’s center, before you start heading out, or stop once you have completed a swirl before moving onto the next one. And I know we’ve all tried it (myself more times than I’d care to admit) but it doesn’t hurt to remind ourselves that, while we think we are smooth enough to reposition our hands WHILE we are quilting (as opposed to stopping before repositioning), SADLY, most of us are not. I know…I don’t like it either, but we really need to stop and then move our hands. I used the open swirl pattern on my Twinkle quilt, featuring my Sparkle collection for Benartex. 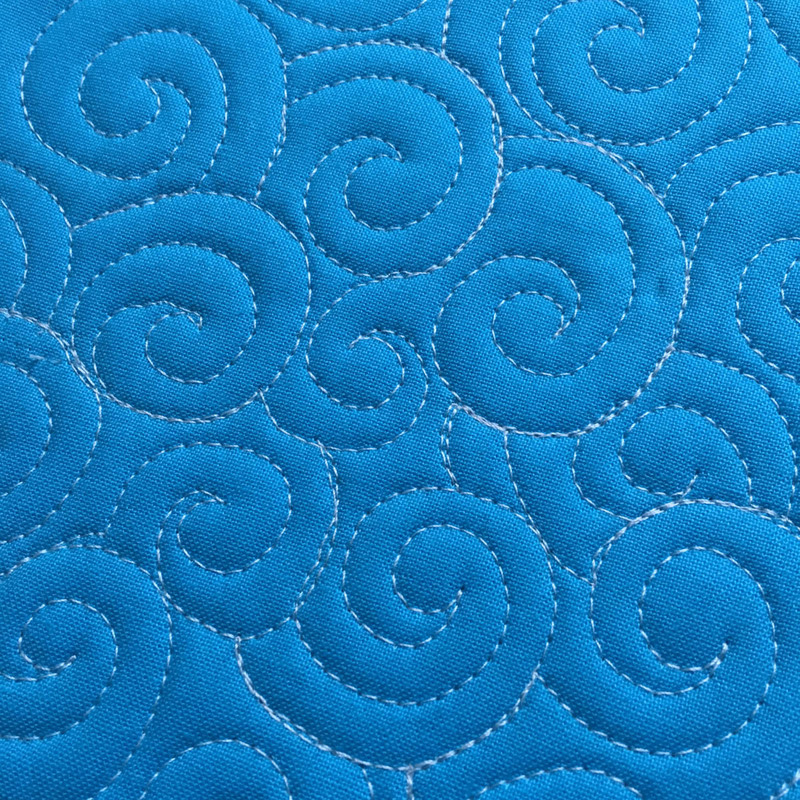 The most frequent problem I see when teaching how to quilt swirls is that people start stitching a straight line before starting the curve, resulting in a swirl that looks like it is on the end of a stem. Not a problem. If you do that everywhere it is a “DESIGN DECISION,” and a good one at that! Swirls on a stem are a favorite of mine! They are quickly executed and look great with a few leaves sprinkled in. Did you know you can make these type of swirls into a feather (link to my previous post) or even into a wreath? 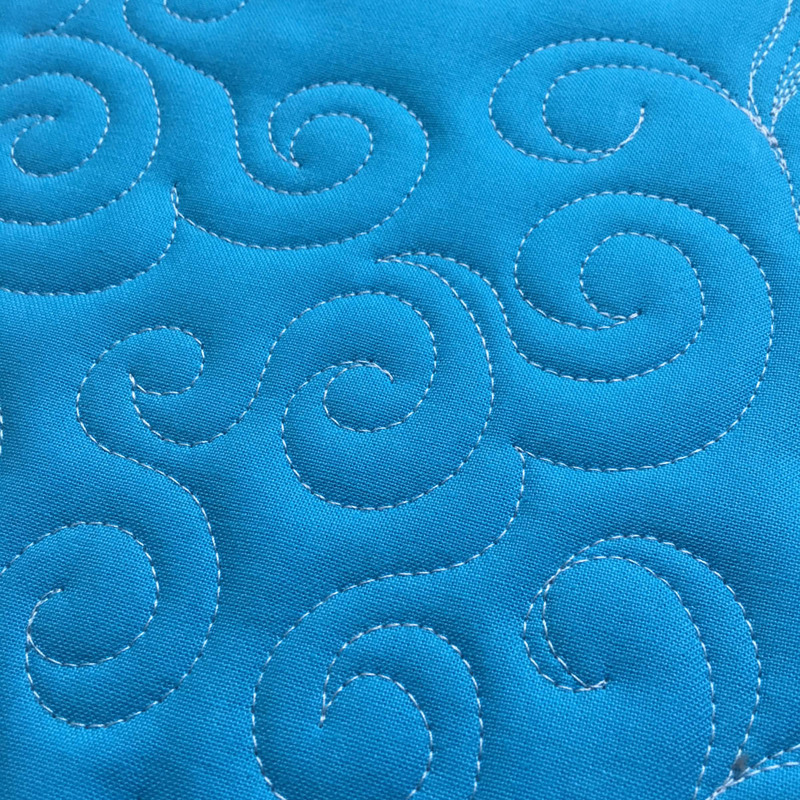 Mark a circle and start stitching swirls along the inner edge and then the outer edge. Maybe quilt in a few leaves for extra interest. I echoed the inner swirls and filled in the center with pebbles. It sure was fun! 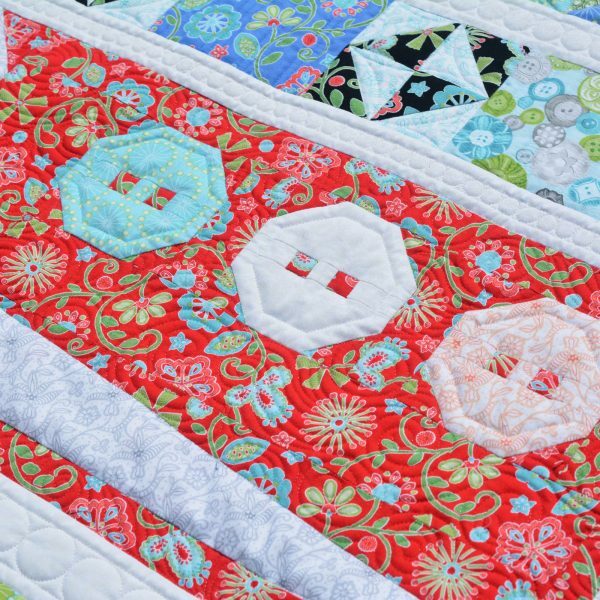 Swirls look especially great when contrasted with other, more uniform types of quilting, like circles and crosshatching. I recently debuted my new block-of-the-month pattern, Sewing Room Sampler featuring my Sewing Room line for Benartex, at BERNINA University. I used quite a few variations of swirls in this one. 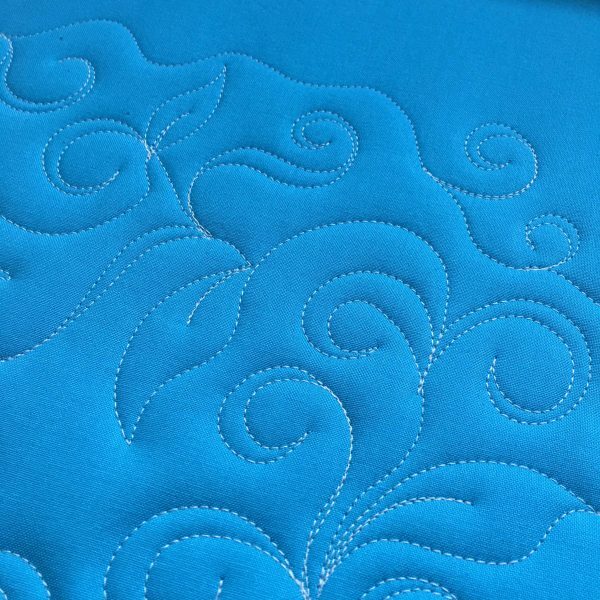 I did these samples on my beautiful BERNINA Longarm machine Q 24 using Aurifil 50 wt. thread, but you can definitely do these on a domestic machine or on the BERNINA Q 20 as well. 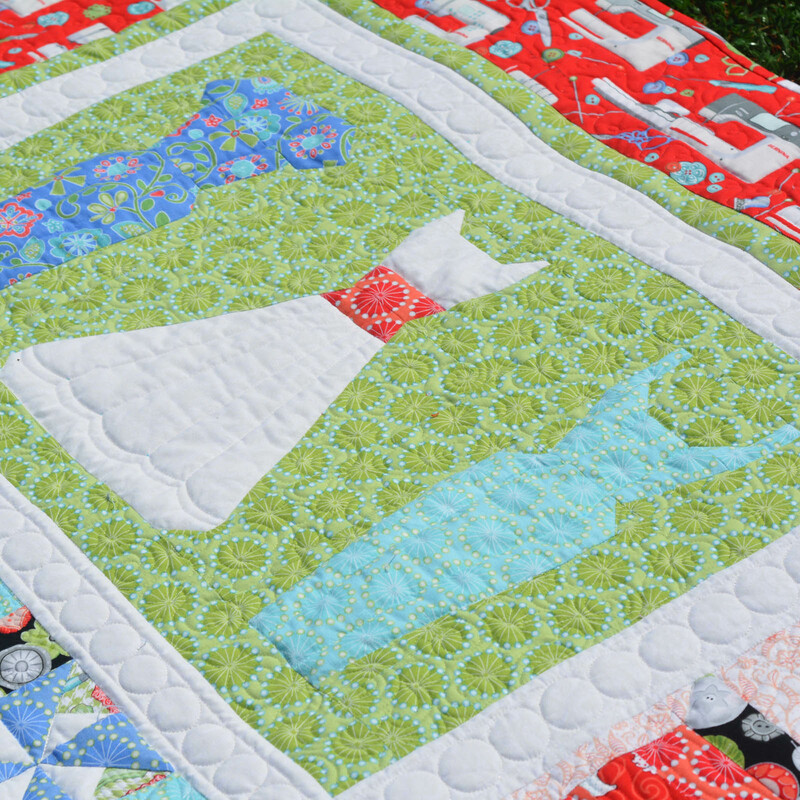 For years I quilted on a domestic. It can definitely be done! You can use the BERNINA Stitch Regulator to help keep your stitches even. I’ll be guest-posting here at We All Sew again, but in the meantime, please join me over on my blog and join my Free-Motion Quilting Idea Facebook group for other free-motion quilting ideas. These techniques are beautiful and I am anxious to try them. I am very new to this so we shall see how it goes. Wow! 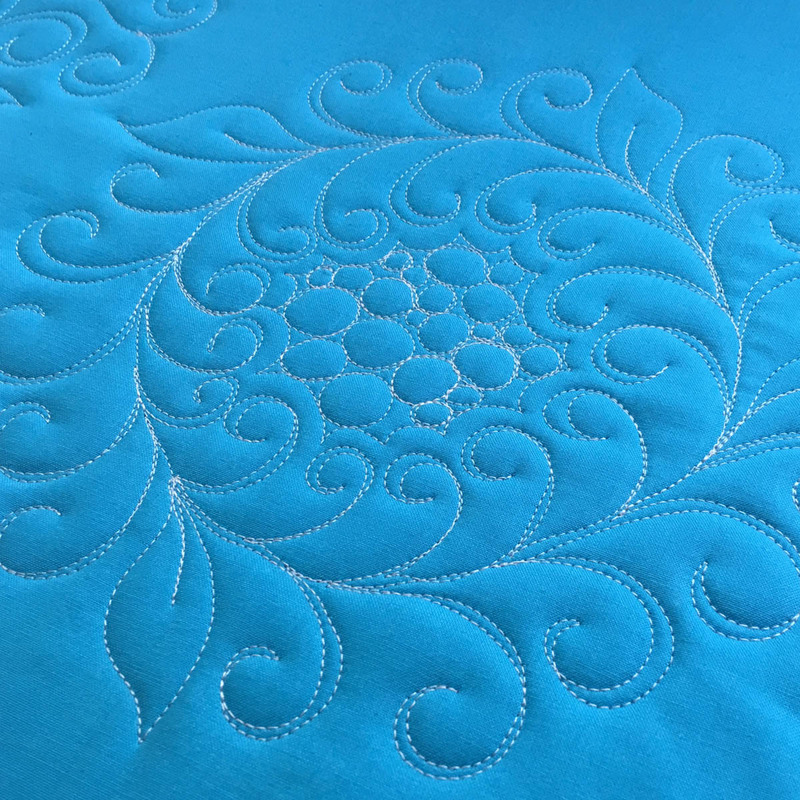 Thanks, Bernina, for posting these techniques! 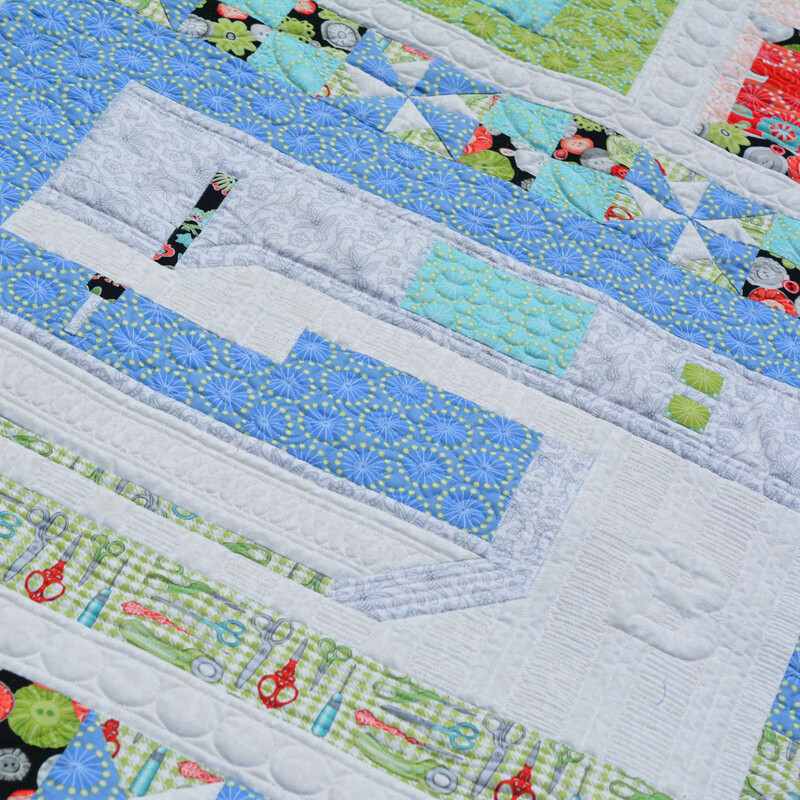 Another great FMQ video to add to my collection. It so helps to watch a video on how the design is supposed to look before I jump on the machine and try to emulate the design. Circles (half or whole) are a challenge for me…. you make it look soooooo easy!!! Love these swirly designs. Forgot to add, Thank you so much for showing this, its something you got to watch, too many pictures to show step by step each one, but love the open swirl.